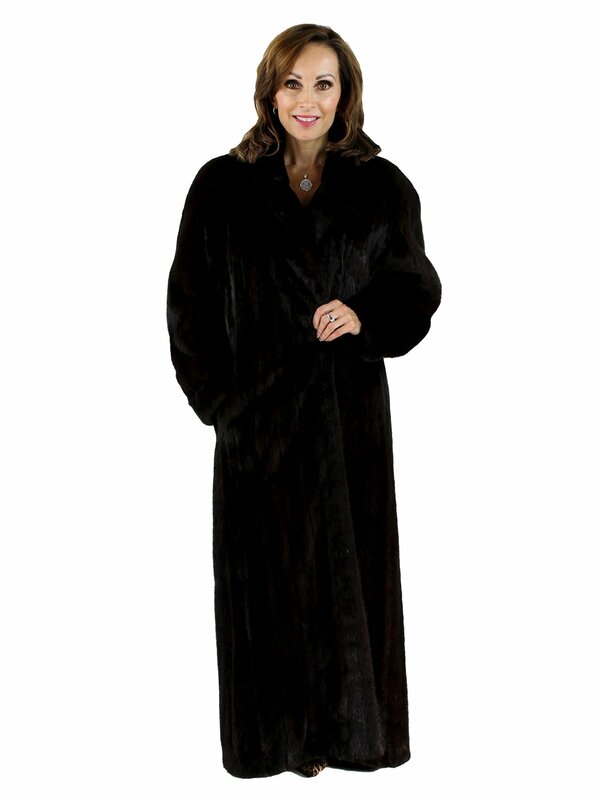 Gathered yoke in back and extra length (54") make this classically styled DARK MAHOGANY FEMALE MINK FUR COAT a special find. The mink fur and medium tone brown lining are both in excellent condition. Mink coats this long are very difficult to find. The skins are very high quality and a very deep brown color with lots of sheen.